2019 Kurt Busch #1 Star Nursery / Chevrolet Camaro ZL1 NASCAR 1/24 diecast, by Action Lionel. The Chip Ganassi Racing #1 Star Nursery Chevrolet Camaro ZL1 was raced by Kurt Busch in the Monster Energy NASCAR Cup, Pennzoil 400 by Jiffy Lube at Las Vegas Motor Speedway on March 3, 2019. This paint scheme was designed to match the car he drove to the 1999 NASCAR Southwest Series Championship. 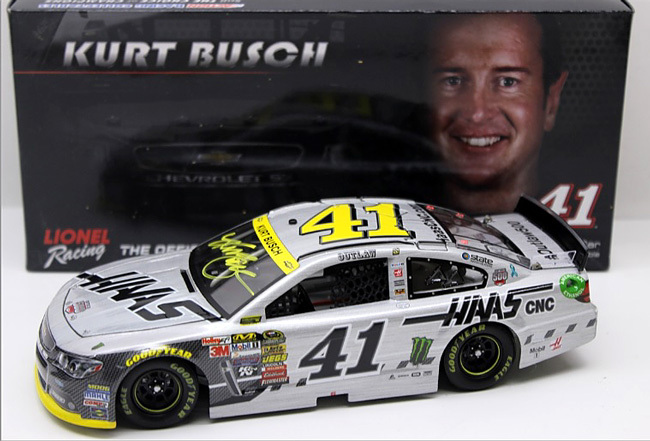 2019 Kurt Busch #1 Star Nursery / Chevrolet Camaro ZL1 NASCAR 1/64 diecast, by Action Lionel. The Chip Ganassi Racing #1 Star Nursery Chevrolet Camaro ZL1 was raced by Kurt Busch in the Monster Energy NASCAR Cup, Pennzoil 400 by Jiffy Lube at Las Vegas Motor Speedway on March 3, 2019. This paint scheme was designed to match the car he drove to the 1999 NASCAR Southwest Series Championship. 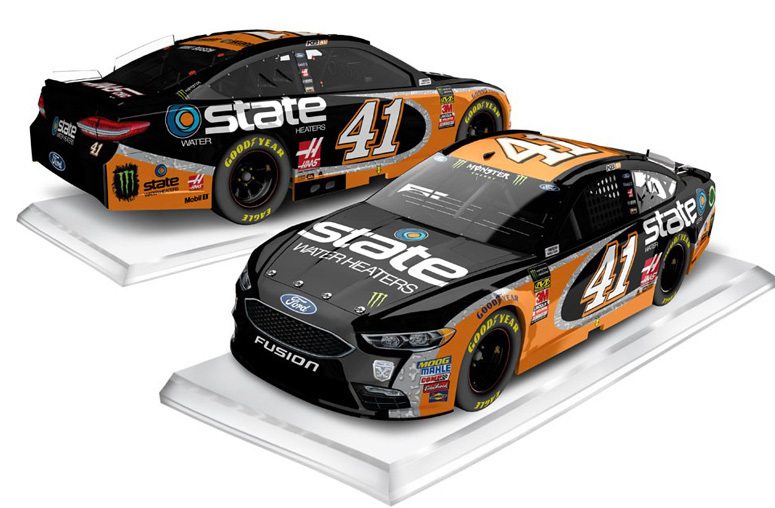 This diecast car will not have the Monster Energy decals on the windshield and body of the car. 2019 Kurt Busch #1 Monster Energy / Chevrolet Camaro ZL1 NASCAR 1/24 diecast, by Action Lionel. 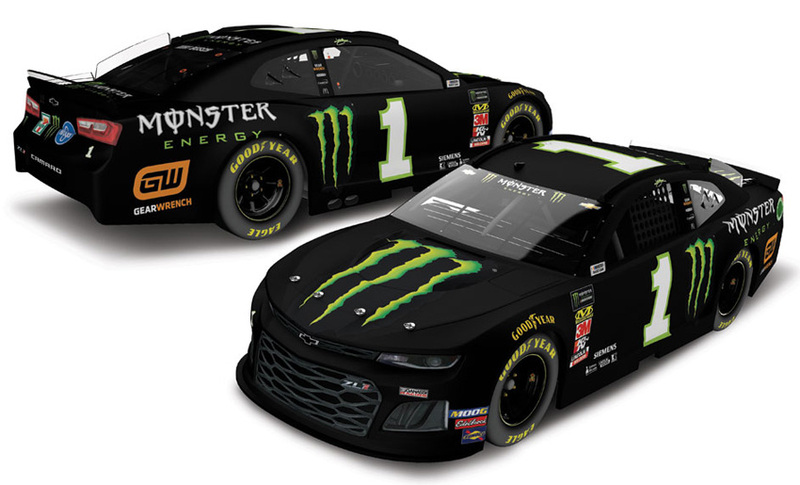 The Chip Ganassi Racing #1 Monster Energy Chevrolet Camaro ZL1 will be raced by Kurt Busch during the 2019 Monster Energy NASCAR Cup season. 2019 Kurt Busch #1 GearWrench / Chevrolet Camaro ZL1 NASCAR 1/24 diecast, by Action Lionel. 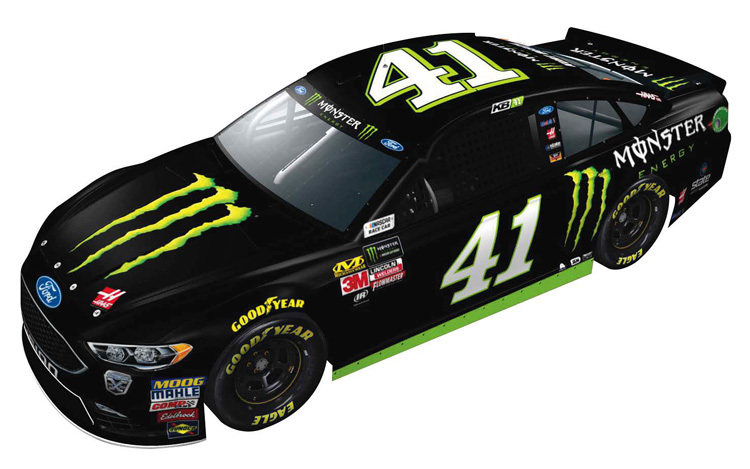 The Chip Ganassi Racing #1 GearWrench Chevrolet Camaro ZL1 will be raced by Kurt Busch in select events during the 2019 Monster Energy NASCAR Cup season. 2019 Kurt Busch #1 GearWrench / Chevrolet Camaro ZL1 NASCAR 1/64 diecast, by Action Lionel. 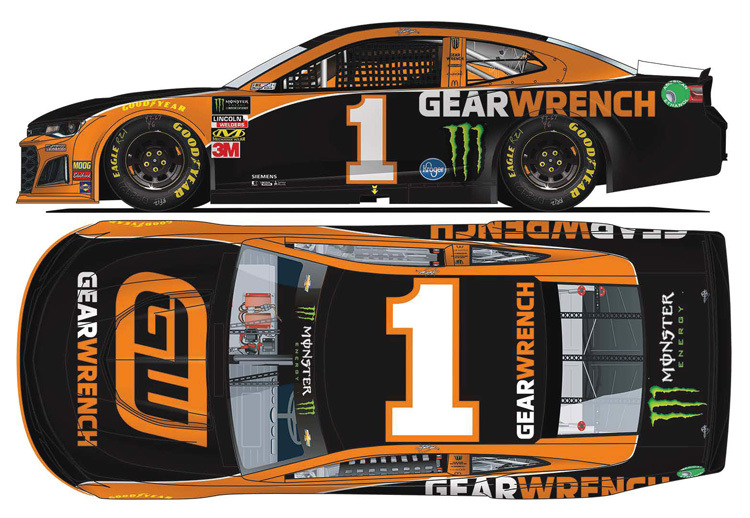 The Chip Ganassi Racing #1 GearWrench Chevrolet Camaro ZL1 will be raced by Kurt Busch in select events during the 2019 Monster Energy NASCAR Cup season. This diecast car will not have the Monster Energy decals on the windshield and body of the car. 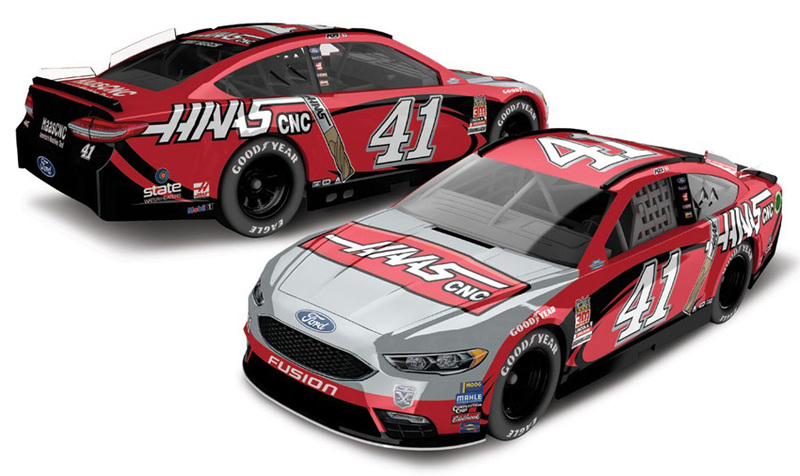 2018 Kurt Busch #41 HAAS Automation / Darlington Throwback / Ford Fusion NASCAR diecast, by Action Lionel. 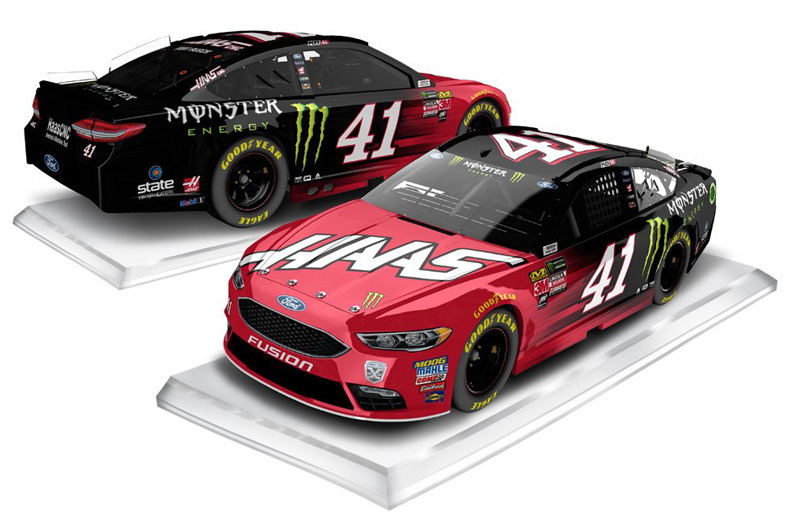 The Stewart-Haas Racing #41 HAAS Automation Darlington Throwback Ford Fusion was raced by Kurt Busch in the Monster Energy NASCAR Cup, Bojangles' Southern 500 at Darlington Raceway on September 2, 2018. This paint scheme was inspired by the famous Darlington Battle with Ricky Craven in 2003, which resulted in the closest finish in NASCAR Cup history. 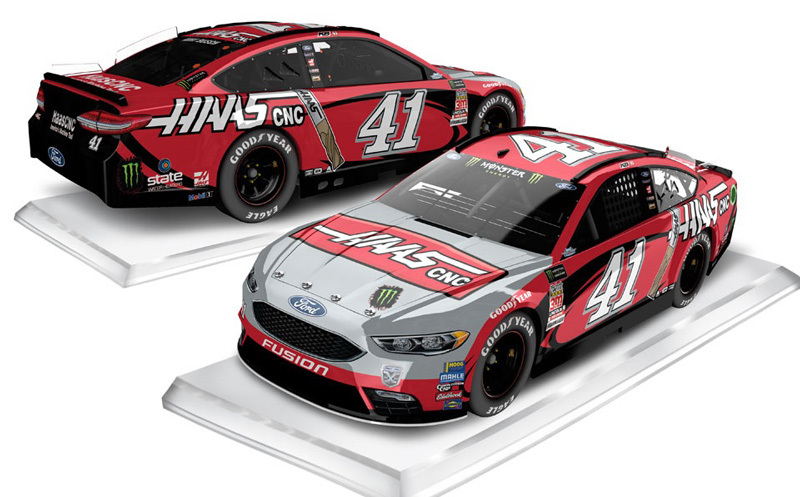 2018 Kurt Busch #41 Monster Energy / HAAS Automation / Bristol Win / Raced Version / Ford Fusion NASCAR 1/24 diecast, by Action Lionel. 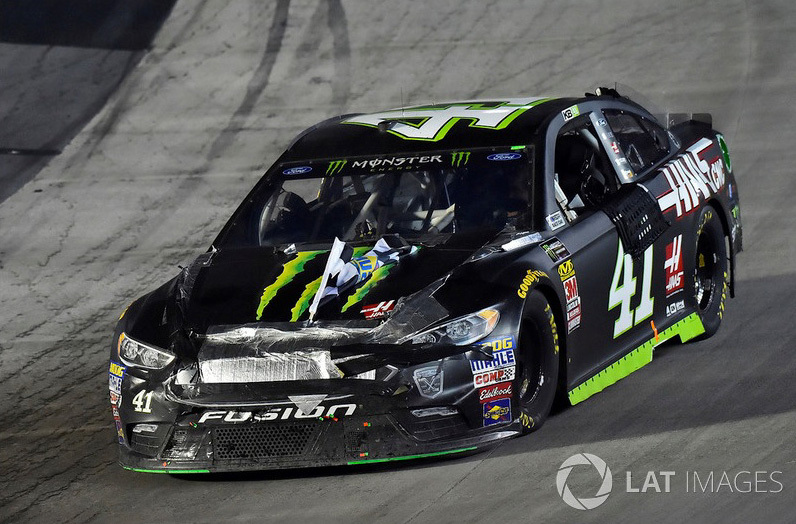 Kurt Busch raced this Stewart-Haas Racing #41 Monster Energy HAAS Ford Fusion to victory in the Monster Energy NASCAR Cup, Bass Pro Shops NRA Night Race at Bristol Motor Speedway on August 18, 2018. This was Kurt Busch's 6th career win at Bristol. This diecast car will come with race winner decal. 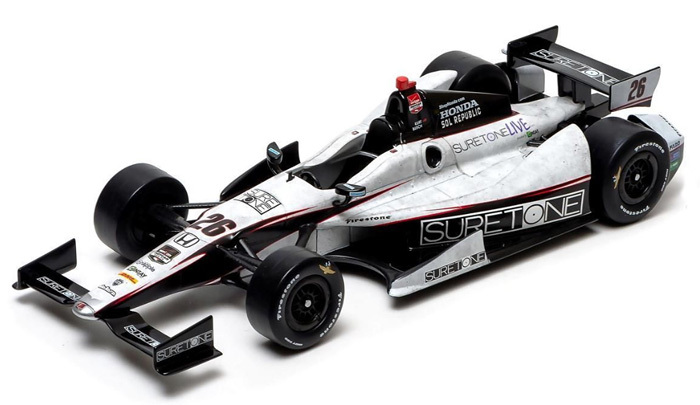 This diecast car will be displayed on a black base. 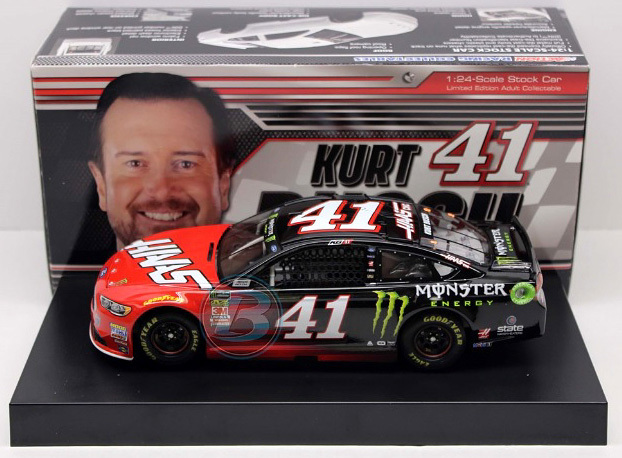 2017 Kurt Busch #41 Mobil 1 / Ford Fusion NASCAR diecast, by Action. 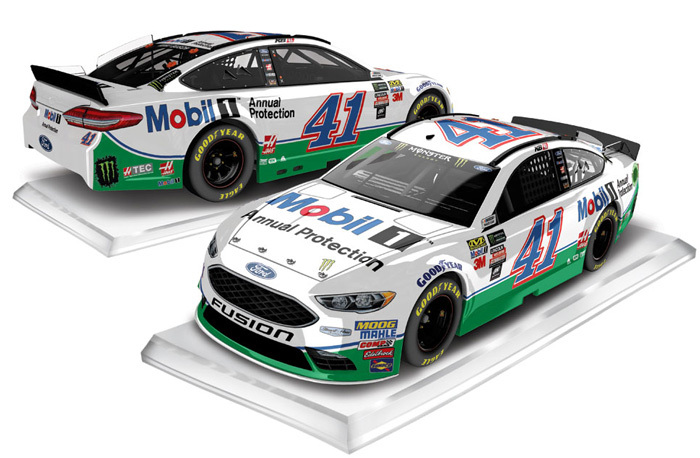 The Stewart-Haas Racing #41 Mobil 1 Ford was raced by Kurt Busch in select events during the 2017 Monster Energy NASCAR Cup season. This diecast car will NOT be displayed on a clear base and will not have the Monster Energy decal on the windshield. 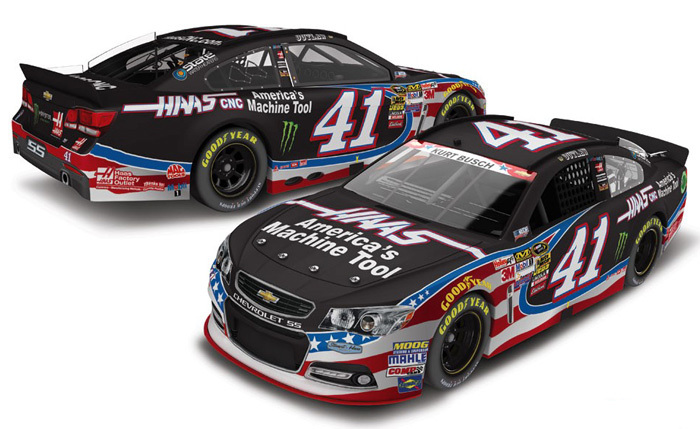 2015 Kurt Busch #41 HAAS Automation / Chevrolet SS NASCAR diecast, by Action. 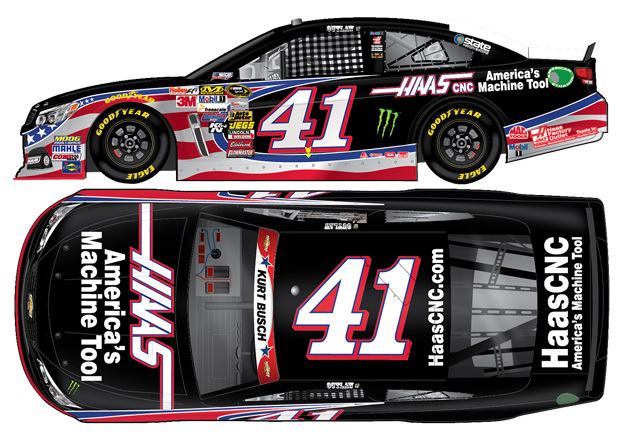 The Stewart-Haas Racing #41 HAAS Automation Chevrolet SS was raced by Kurt Busch during the 2015 NASCAR Sprint Cup season. 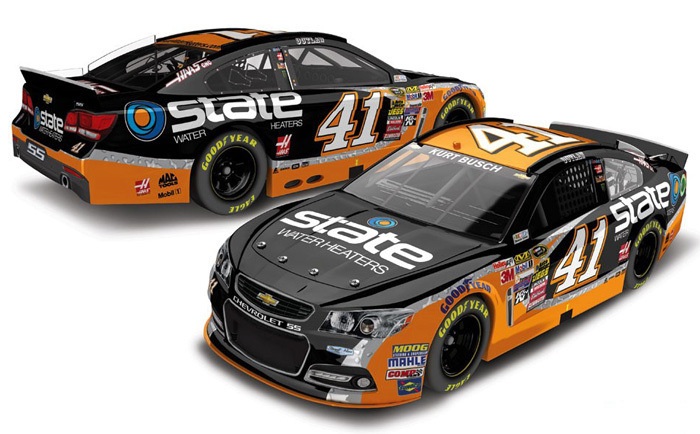 2015 Kurt Busch #41 State Water Heaters / Chevrolet SS NASCAR diecast, by Action. 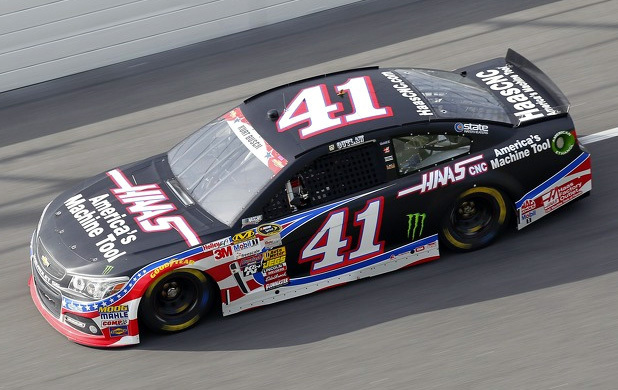 The Stewart-Haas Racing #41 State Water Heaters Chevrolet SS was raced by Kurt Busch in select events during the 2015 NASCAR Sprint Cup season. 2015 Kurt Busch #41 HAAS / Darlington Throwback / Chevrolet SS NASCAR diecast, by Action. The Stewart-Haas Racing #41 HAAS Darlington Throwback Chevrolet SS was raced by Kurt Busch in the NASCAR Sprint Cup, Bojangles' Southern 500 at Darlington Raceway on September 6, 2015. 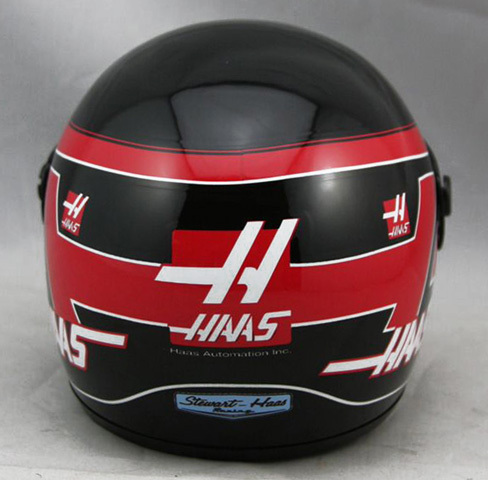 This paint scheme features a vintage-themed HAAS Automation design. The diecast car will also be packaged in a special Darlington Raceway box. 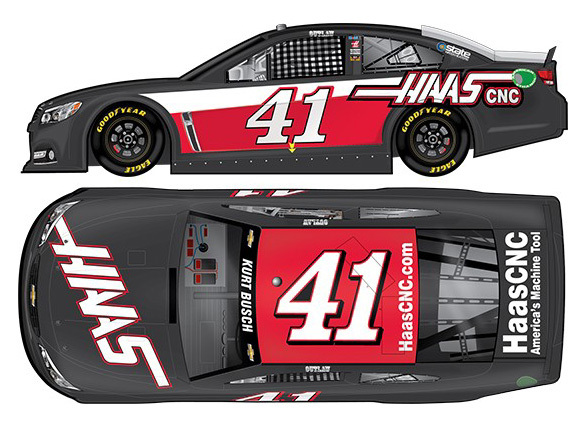 2015 Kurt Busch #41 HAAS / Darlington Throwback / Chevrolet SS NASCAR diecast, by Action. 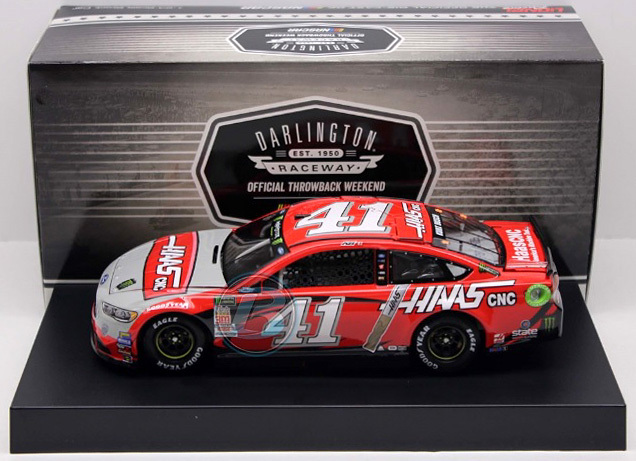 The Stewart-Haas Racing #41 HAAS Darlington Throwback Chevrolet SS was raced by Kurt Busch in the NASCAR Sprint Cup, Bojangles' Southern 500 at Darlington Raceway on September 6, 2015. 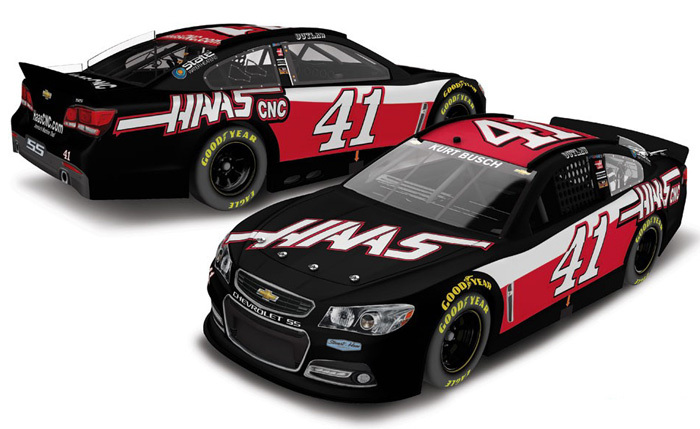 This paint scheme will feature a vintage-themed HAAS Automation design. 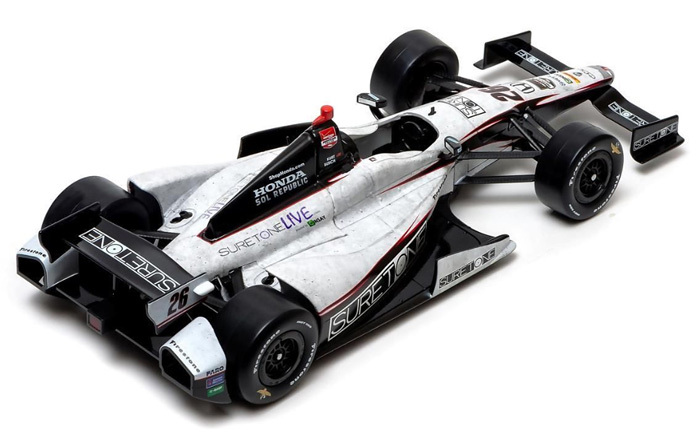 2014 Kurt Busch #26 Suretone / Honda IndyCar Series diecast, by GreenLight. 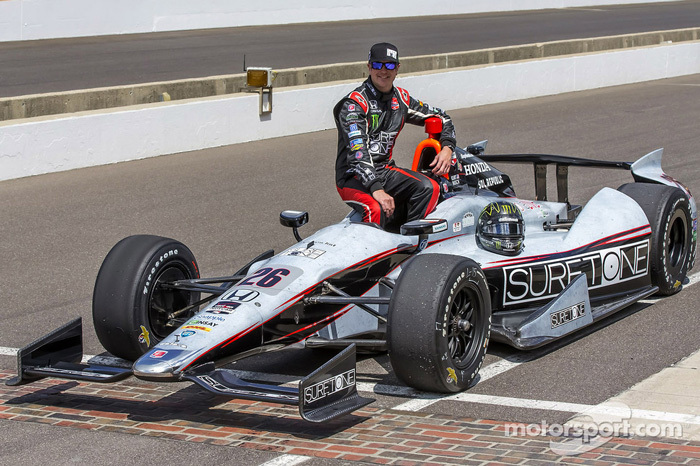 The Andretti Autosport #26 Suretone Dallara Honda was raced by Kurt Busch in the Verizon IndyCar Series, Indianapolis 500 at Indianapolis Motor Speedway on May 25, 2014. 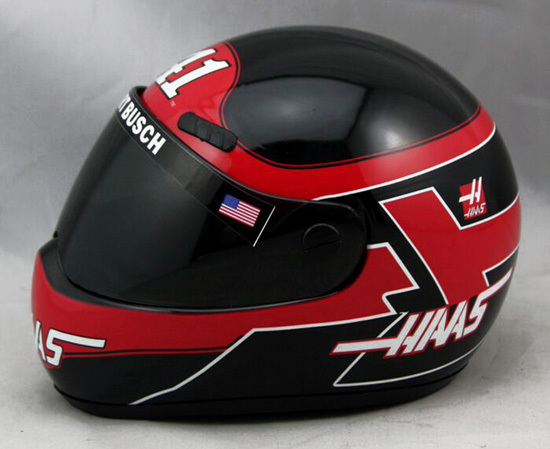 Kurt Busch is only the 4th driver to do "The Double", competing in both the Indianapolis 500 and Coca-Cola 600. 2014 Kurt Busch #41 HAAS Automation / Chevrolet SS NASCAR diecast, by Action. 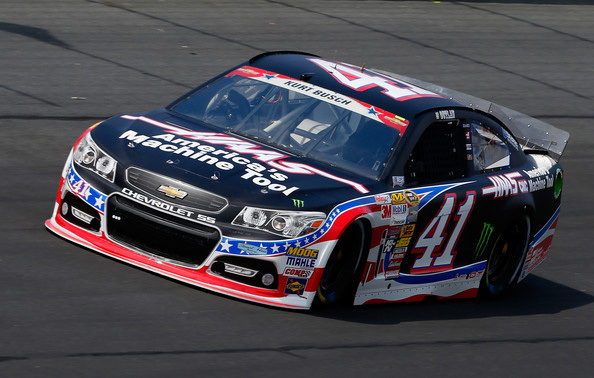 The Stewart-Haas Racing #41 HAAS Automation Chevrolet SS was raced by Kurt Busch during the 2014 NASCAR Sprint Cup season. 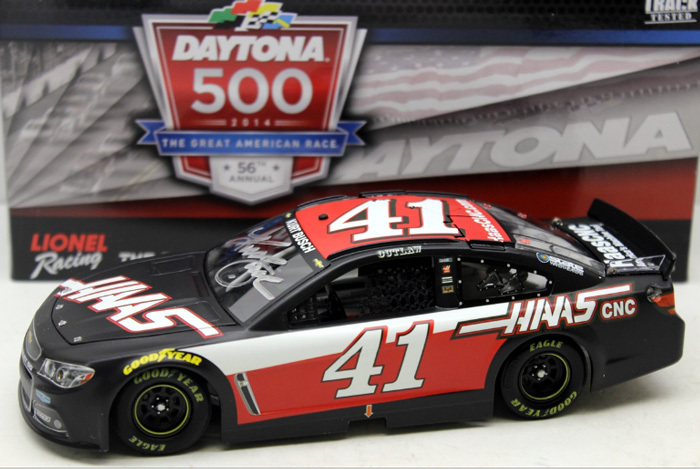 2014 Kurt Busch #41 HAAS Automation 500th Start / Chevrolet SS NASCAR diecast, by Action. 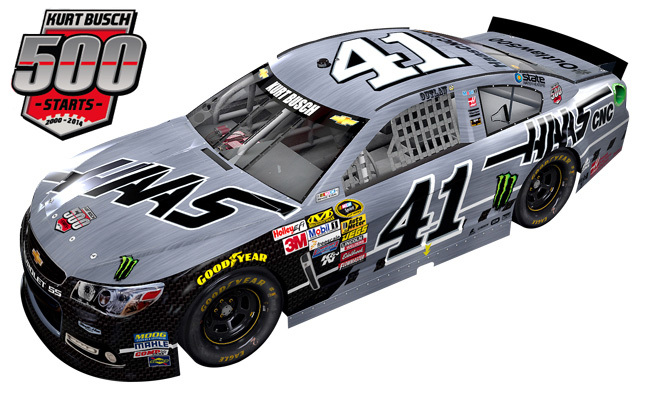 The Stewart-Haas Racing #41 HAAS Automation 500th Start Chevrolet SS was raced by Kurt Busch in the NASCAR Sprint Cup, AAA 400 at Dover International Speedway on September 28, 2014.